The angel was speaking truth as God saw Gideon. Gideon couldn’t receive the Word because he was swallowed up in circumstances of sin and disobedience to God’s instruction. The Israelites were being greatly oppressed by their enemies. Gideon represents most of us at one time or another in our lives. He was fighting for survival in his world. Even though they were suffering from their own sin and disobedience, Gideon blames God and accuses God of abandonment and handing them over to the enemy. God chose Gideon anyway. God saw deep inside Gideon’s heart, and he was who God chose to deliver His people. Are you a Gideon? With all your heart seek to fulfill God’s calling in your life. Nothing is impossible for those who will obey their God. 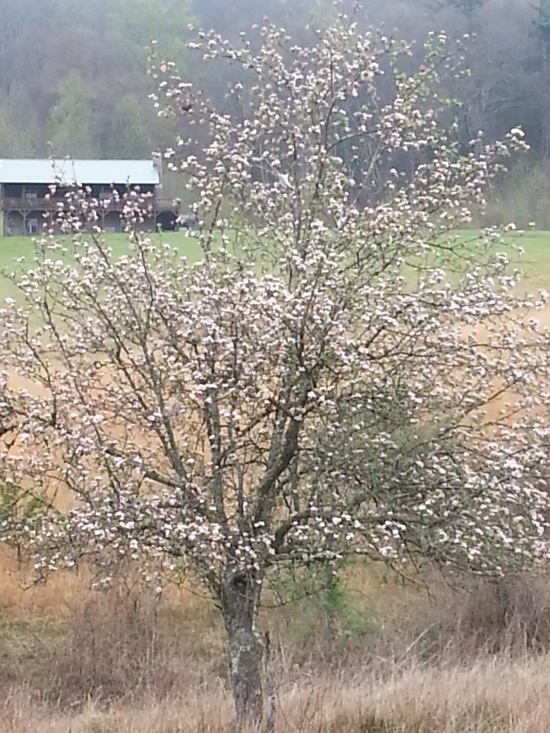 Photo is of an apple tree that just bloomed in my pasture. Enjoy life’s simple pleasures.